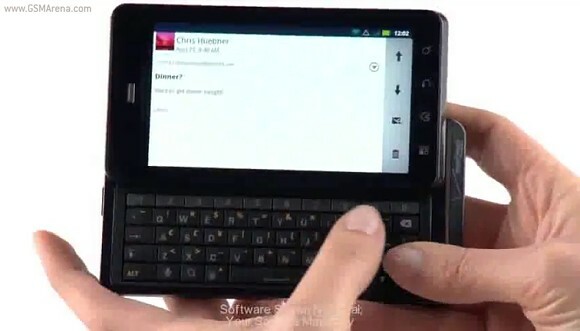 Verizon Wireless and Motorola did a great job in keeping the highly anticipated Motorola Droid 3 a well guarded secret. Until today at least. The upcoming Android handset showed itself completely in a series of tutorial videos and left nothing to our imagination, at least as far as looks are concerned. The videos confirm the 8MP camera on the handset. It will be capable of recording 1080p videos as well. On the left side of the device, you get a microUSB and HDMI connectors much like another Droid by Motorola - the X2. The right side of the device will host two volume keys. There is no camera shutter button on the smartphone. There is a five-row QWERTY keyboard with a dedicated row for numbers only. In case you get bored with it, there will be a virtual keyboard at your disposal too. There is no info on the CPU in the Droid 3, or the screen resolution. We suspect, they will be Tegra 2 and qHD respectively. The Android version is unknown too since all the videos note that the software shown is not final. Check out all three videos below, and tell us what do you think in the comments section.